In this video blog The 3H´s, I share my thoughts on how to become an authentic leader. Here are the insightful remarks from my colleagues of theotherside blog, at IE communication department. Truly appreciated. “Those about to step into the role of leader are often faced with a challenge. What kind of leader to be? Of course it’s important to learn from others, but it’s also vital to develop your own unique style based on your strengths and weaknesses: your own authentic leadership style. IE Business School leadership professor Margarita Mayo was recently included in the prestigious 2017 Thinkers50 Radar, which showcases truly independent-minded thinkers from around the world, all driven by curiosity and innovation. In her forthcoming book, Professor Mayo explores the shifting nature of authenticity in leadership roles. In this video, she shares three key, research-based insights into how to become an authentic leader: heart, habit and habitat. She suggests leaders begin their search for authenticity by looking inside themselves. Find your passion, so you can share it with your team and inspire them, winning their hearts over. Then, build healthy leadership habits by seeking out honest and critical feedback to develop a routine that helps you to grow, adapt and progress. As an authentic leader, it’s also essential to enrich your organization, your habitat, by building an space that keeps its focus on the accomplishments of your team and helps them shine. Drawing on a host of examples -from executives of multinationals to start-up founders, from political leaders to sport leaders — and nearly two decades of research. 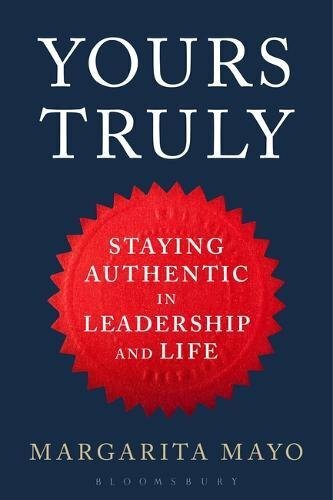 In my forthcoming book I explain the 3H’s of authentic leadership. Question: Who do you consider an authentic leader with wide social impact?